The official video for the disc's new single, "The Ruby", can be seen below. The clip was directed by Vesa Ranta. BARREN EARTH vocalist Jón Aldará states: "This song concerns the inability to feel empathy for others or to care about the effects of one's actions. It is seen through the mind of a person who is locked inside that isolating condition, while still wishing to fit into society and connect with others. In this instance, the ruby is a metaphor for an un-living, impenetrable heart. "With the video, Vesa has tried to capture a quite simplistic, closed-in feeling to represent the concept of the song, but at the same time used the classic 'band playing' format, since this is the closest thing to a straightforward rocker that BARREN EARTH has ever made." 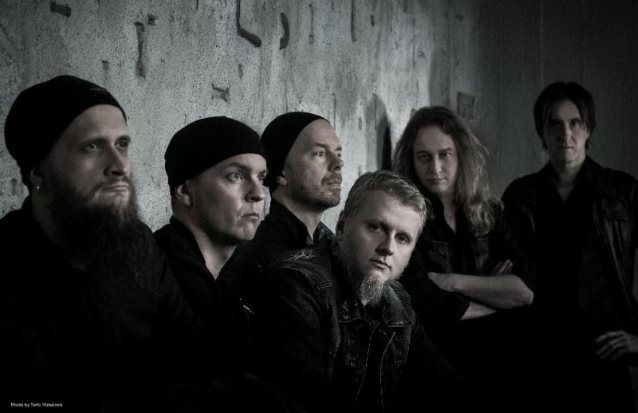 BARREN EARTH bassist Olli-Pekka Laine states about "A Complex Of Cages": "Like BARREN EARTH's previous works, the album's material varies from straightforward standards to experimental opuses. Still, the red line is there, and every song asserts its place in the whole. Brutal death metal, artsy prog rock, pompous melodies with dozens of layers... This music has been crafted without any external pressure, radiating utter spiritual liberation. 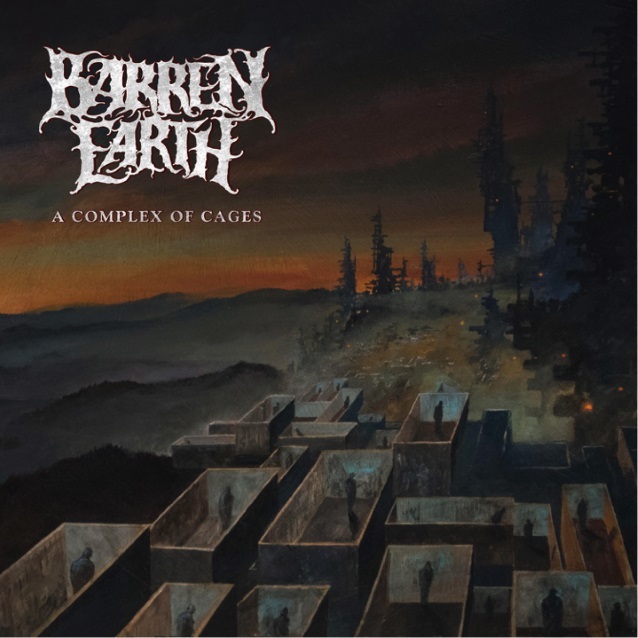 Production-wise I see 'A Complex Of Cages' as an improved version of BARREN EARTH, thanks to V. Santura, who supervised the album making process and let us concentrate solely on composing, arranging and performing."